Our team at Clinical Research of Brandon possess the necessary experience to provide quality services to Sponsors/CROs, which has been demonstrated through a prestigious history of Clinical Research of Brandon is a Clinical Research Facility, with the experience and history of providing prestigious quality services to Sponsors/CROs. 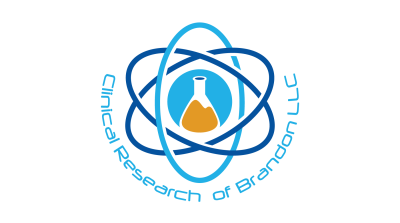 Clinical Research of Brandon provides to the clinical research industry with an innovative clinical research site, providing a quality, safety to subjects and the Pharmaceutical Industry and contributing to the development of new therapies and medicines across a board range of conditions. Our dedicated and experienced team of medicals professionals conduct research with compassion and respect for our study participants. Our extensive experience, knowledge, and capabilities allow us to deliver timely, accurate data that ultimately improves patient’s life. Our study teams provide the ability to rapidly contract, obtain IRB approvals, and launch new trials, typically within a matter of days. Our site has a business association with physicians allowing us to have access to thousands of patients of any conditions. Our fully-equipped Phase I unit is an ideal solution for conducting both healthy volunteer and patient population trials. Certified Physicians and bilingual staff, with ample experience in the research field. Our patient's safety is our # 1 priority. All of our subjects have access to the PIs/Subs 24/7. Our streamlined and organized processes allow us to perform rapid enrollment and fast startup while maintaining a high level of quality source data.